ProLite Lo-Plus Lumbar Support, manufactured by FLA Orthopedics, is specifically designed to alleviate lower back pain and discomfort. In addition to mitigating pain, it is also designed to deliver abdominal compression. 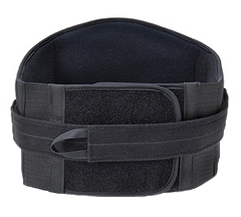 Featuring a rigid posterior panel, this lumbar support delivers unparalleled stability to the lumbar region, specifically covering L1-L5 vertebrae. The tapered panels on this supportive device delivers optimal compression and a conforming fit. Offering a soft, padded interior and ventilated elastic side panels, the ProLite Lo-Plus Lumbar Support delivers excellent comfort. The low profile design, additionally, allows you to inconspicuously wear this support beneath your clothing. According to FLA Orthopedics, this support is ideal for occasional or chronic back pain, lumbar strains, muscle weakness, and postural support. Buy now and significantly reduce lower back pain and discomfort today! 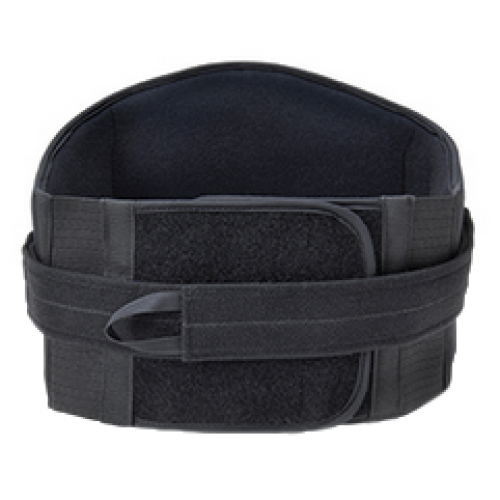 However, if this lumbar support does not meet your rehabilitative needs, make sure to check out some of our other lumbosacral supports, such as this lumbar support and heated lumbar support, here. Rigid posterior panel for optimal stability. Product Numbers: 7456300, 7456301, 7456302, 7456303, 7456304, and 7456305. Sizes: SM, MD, LG, XL, XXL, and XXXL. Application: To support and alleviate pain or discomfort associated with the lower back. To properly determine which size you need, measure the circumference of your waist, specifically at your navel. Extra Large 40 - 44"